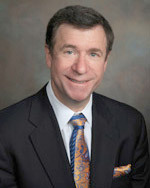 Dr. Bram is a guest on “Issues Today with Bob Gourley” – a syndicated radio broadcast on 183 stations out of Irvine, CA. The topic is “A Natural, Non-Invasive Way To Relieve Pain and Speed Healing” and Dr. Bram presents the benefits of regenerative medicine such as PRP (Platelet Rich Plasma) and Stem Cell Therapy. Listening just might open your mind to the pain solutions you’ve been looking for.